Whether you're looking for a Recreational bicycle, Racing bike, or a Mountian Bike you have come to the right place. carries Road Bikes, Mountain Bikes, Cyclocross Bikes, Touring Bikes, BMX Bikes, Sport Comfort, and Children's Bikes. Located in the Pittsfield the Heart of the Berkshires in Western Massachusetts, Ordinary Cycles was established in 1983 as an outgrowth of Thomas Martin's passion for bicycles as both a form of exercise and transportation. 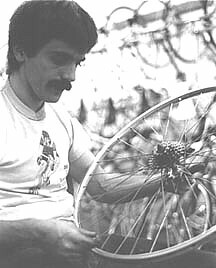 Bicycles have been an avocation of Tom's since his youth and his professional experience dates back to 1972. Let Tom's expertise of 41 years in the cycling business guide your interest.